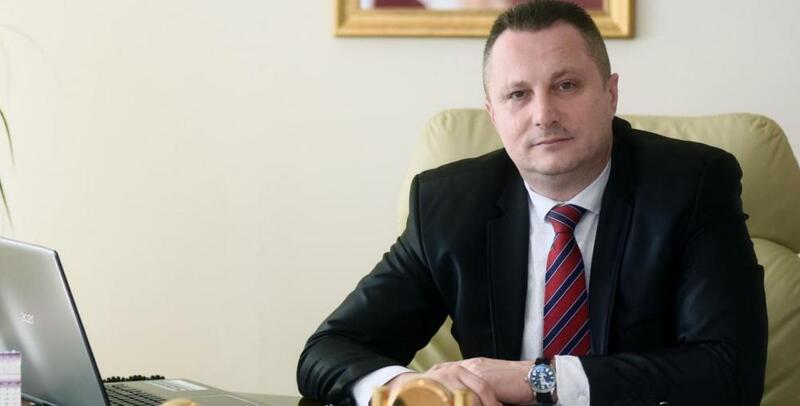 Minister of Economy and Entrepreneurship of Republika Srpska Vjekoslav Petričević said that the forthcoming amendments to the Law on the Development of Small and Medium-Sized Enterprises will open doors for domestic businessmen as regards to access to EU development funds. In an interview for Srna, on the occasion of 100 days of work of this Ministry, Petričević said that the Draft Law on Amendments to the Law on the Development of Small and Medium Enterprises will be considered at the forthcoming session of the Srpska Parliament with the aim of fully harmonize the definition of this type of company in the EU with that in Srpska. “Until now, only the criteria for classification by number of employees have been harmonized, and now there will be the financial criteria. Relating to that, the Republic Agency for Development of Small and Medium Enterprises will transfer to the Development Agency of the Republika Srpska, which will extend the support to entrepreneurship at the republic’s and local’s level through linking local agencies that will also get this development component”, Petričević pointed out. He stressed that the Action Plan, which should result in an increase in the salaries of workers in the economy, is transferred in the Proposal of measures for business improvement in the period 2019-2021. years, after consultations with relevant ministries, the Chamber of Commerce and the Union of Employers’ Associations of Srpska. “This document includes measures with the aim of strongly supporting employment, reducing the parafiscal and administrative burden on the economy, improving the conditions for technological development of the economy, better linking education with the needs of the labour market, including sectoral measures. The goal of the Ministry is to make changes to the Law on Contributions in a few steps, how we will achieve the level of workload from 2008, which would open the space for increasing the salary in the real sector”, Petričević said. Petričević explained that Srpska can become a regional leader according to the terms of business if it carries out reforms that will lead to tax and administrative disenchantment of the economy, which should be harmonized at all levels of authorities. He said that improving the productivity and competitiveness of domestic economy depends on new technologies, and the one of the goals of the line ministry is to set up a low-interest credit line for businessmen who want to improve their production technology. “The Government will provide this through a model of favourable loans in cooperation with local banks or international organizations”, Petričević said.